One of my favorite places to spend time is at my brother and sister-in-law’s house. There’s both a sense of peace and energy that you can feel when you walk into their home. Over time they’ve cultivated an environment that, if I could sum up in one word, it would be healing. While Marie Kondo has been helping me to remove the extra clutter that I find I have, it’s the open windows and houseplants that have been adding a feeling of being alive. As an avid gardener and plant lover, I’m of course interested in any excuse to surround myself with plants. 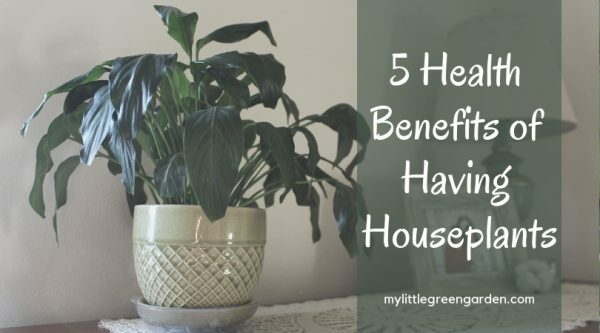 But it’s interesting to know that the health benefits of having houseplants are numerous. Have you ever gone to a park, the beach, or simply stepped outside, taken a deep breath, and thought “ah, fresh air?” When’s the last time you stepped inside your house and thought the same thing? Did you know, according to the EPA, that indoor air pollutants are typically 2 to 5 times higher than outdoor levels? And can even exceed 100 times higher? Yikes. We spend, on average, 90% of our time indoors. That’s a lot of time to not consider the quality of the air we breathe. A study performed by NASA in the 1980s showed that houseplants can reduce indoor air toxins up to 87% within 24 hours. 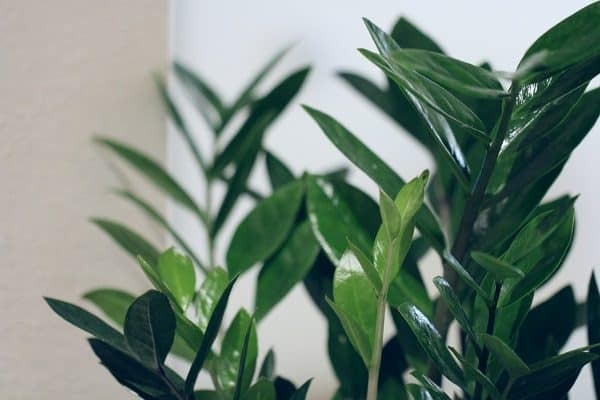 To receive the health benefits of houseplants purifying your air, it’s recommended to have roughly one plant for every 100 square feet throughout your home. Houseplants are a nice way to decorate your home, while also serving a purpose. They’re also fairly inexpensive. 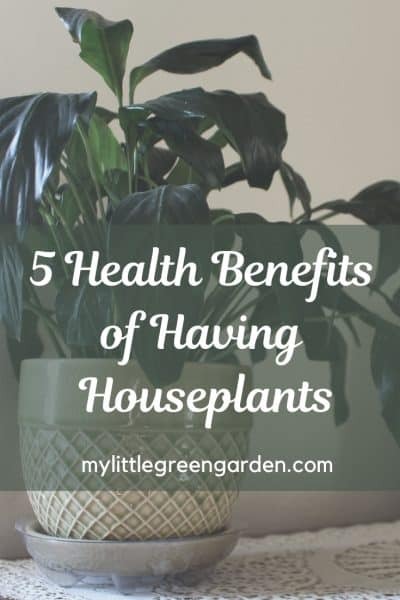 Another one of the health benefits of houseplants is that they enable you to breathe easier. Not only do houseplants remove chemical toxins from our indoor air, but they also reduce dust, dander, and mold spores. Houseplants also provide us with clean oxygen for easier breathing and reduce the carbon dioxide levels in your home through photosynthesis. Houseplants release moisture into the air, which helps to alleviate dry skin, relieve dry sinuses, promote faster healing, and reduce static. Dry air can cause sinus infections and sore throats. While you can use a humidifier, they require maintenance to keep clean. Houseplants can also do a good job of keeping your home humidity levels at an ideal level. Plants transpire, which means the water they absorb through their roots circulates through their stems and leaves and then eventually evaporates into the air which increases humidity levels. A 6-foot Areca palm can transpire 1 liter of water a day. 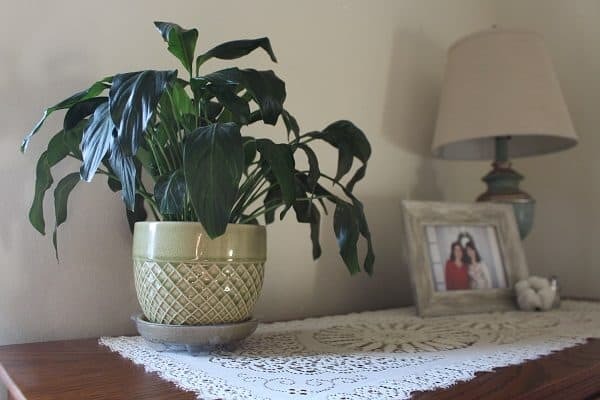 Some additional houseplants that act as natural humidifiers include Boston ferns, spider plants, peace lilies, snake plants, and rubber plants. In addition to providing physical health benefits, plants can also provide mental and emotional benefits. Studies have shown that living with houseplants can help reduce stress, anxiety, and depression. They can also help people to be more productive. Houseplants increase oxygen levels, which can reduce a person’s anxiety levels. Stress, anxiety, and depression can also be linked to toxin levels in the air. As mentioned previously, houseplants can purify the air by reducing those toxin levels. Plants can also lower background noises by absorbing or reflecting loud noises. This can help if you have a small house or thin walls. Stress and anxiety can contribute to insomnia. By keeping plants in your bedroom, you can create a more calm and relaxing environment, which can give you a better nights’ rest. During the day, plants use photosynthesis by using the energy from sunlight and converting carbon dioxide into carbohydrates and oxygen, and releasing excess oxygen. What some people don’t know is that once the sun goes down, plants are unable to use photosynthesis. At night plants maintain their metabolism and respiration by absorbing oxygen and releasing carbon dioxide. There are still some plants that release oxygen at night which include Gerbera daisies, aloe, and snake plants. These are better to keep in the bedroom so that you receive the benefits at night while you sleep. These can help you breathe better while you sleep. What are the best houseplants to have? While most plants can provide benefits, it’s helpful to choose plants that are best suited for an indoor environment. Plants that are low maintenance and don’t require direct sunlight should be selected, along with ones that have been shown to purify the air. 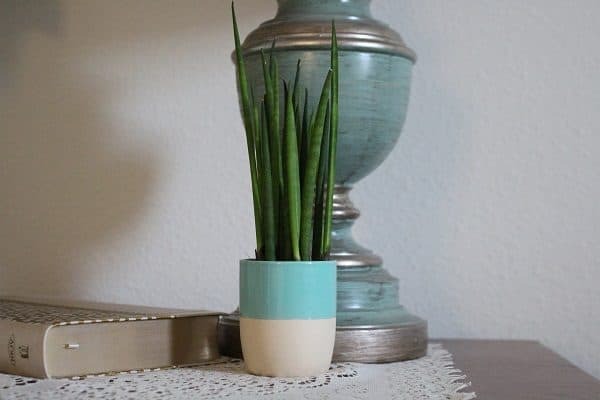 The list below includes 10 common houseplants that help clean your air, along with basic care facts. Do keep in mind that while these help with air purification, some can be toxic if ingested by children or pets. Make sure to do some research on any indoor plants you plan on bringing into your home. Enjoys bright indirect light to low light. Keep soil moist, but allow to dry in between watering. Use general potting soil. Removes ammonia, benzene, formaldehyde, xylene, and trichloroethylene. Poisonous to pets. Enjoys bright indirect light. Drench in water and then let dry. Use general potting soil. Removes carbon monoxide, formaldehyde, and xylene. Enjoys bright indirect light. Keep soil moist. Use fast-draining soil. Removes formaldehyde and xylene. Enjoys bright indirect light to low light. Drench in water and then let dry. Use fast-draining soil. Removes benzene, formaldehyde, xylene, and trichloroethylene. Enjoys bright indirect light to low light. Keep soil moist and mist occasionally. Use fast-draining soil. Removes xylene. Poisonous to children and pets if ingested. Also referred to as Devil’s Ivy. Enjoys bright indirect light to low light. Drench in water and then let dry. Use fast-draining soil. Removes benzene, formaldehyde, and xylene. Enjoys bright indirect light to low light. Keep soil moist. Use general potting soil. Removes formaldehyde and xylene. Enjoys bright indirect light to low light. Water and then let the soil dry. Use general potting soil. Removes toluene, benzene, and xylene. Poisonous to children and pets if ingested. Enjoys bright indirect light. Water and then let the soil dry. Use fast-draining soil. Removes benzene, formaldehyde, xylene, and trichloroethylene. Poisonous to children and pets if ingested. Also referred to as flamingo lily. Enjoys bright indirect light. Water and then let the soil dry. Use fast-draining or general potting soil. Removes ammonia, formaldehyde, and xylene. 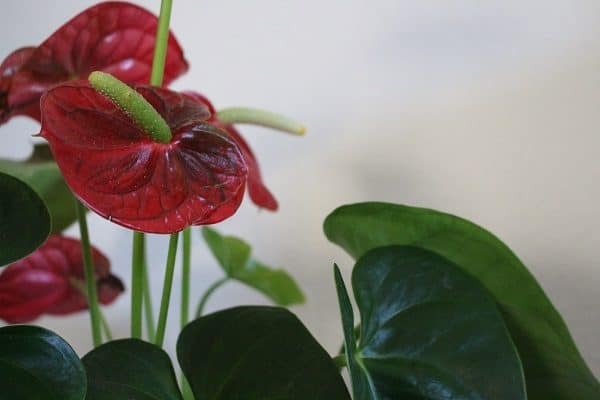 Do you have a favorite houseplant not mentioned above? Leave a comment below and share the variety! That’s awesome! Thanks for stopping by, Phaytea. You had me at “natural humidifier”! Thank you! Oh my goodness! This post makes me want to go out right now and buy a bunch of house plants! Very informative. Thanks! I’ve also written about how plants help with anxiety, as that’s something I’ve battled in the past.